What divine message are you here to amplify with your presence? Dear Earth Angel, You came here to earth with a fully formed mission and a blueprint for your soul and body to help you accomplish this mission. It is a mission that is aligned with your soul essence and personality, as well as the Life Path you are on. It is completely unique to you and your particular gifts. 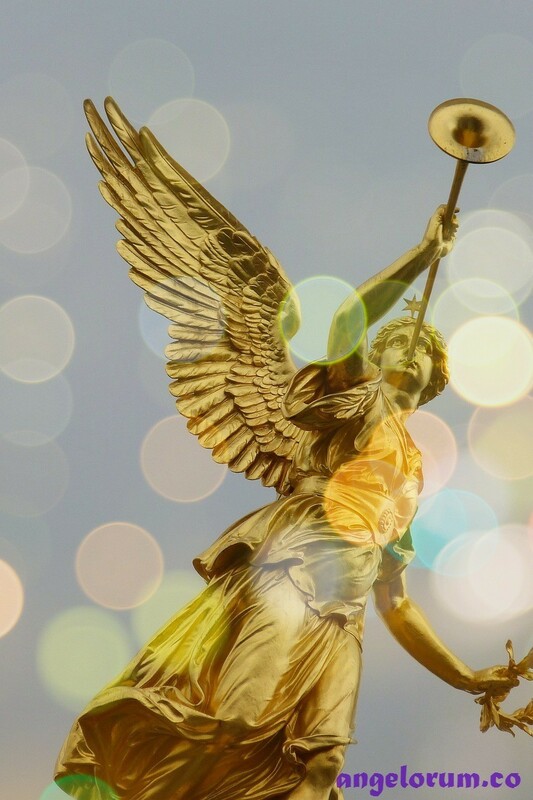 Just like the angels, you are a messenger of light and love… but in your case, it involves the use of the physical body in some way (or you wouldn’t need to incarnate!). In the Tarot, the suit of Pentacles represent your physical reality. The Tarot can help you gain insight to what message you are here to amplify with your presence – how to bring Heaven down to Earth, in other words – as well as how to accomplish this. Knowledge about your mission has literally been coded into your blueprint with numbers and I have created a Tarot spread to help you explore two of those numbers. For this Tarot Spread, we will focus on the two main aspects of your Birth Numerology, the date and the full name given at birth. The former renders your Life Path and the latter your Destiny/Expression number. To find out which Life Path you are on in this incarnation, simply add the numbers of your date of birth together and reduce to a single digit. For the name (Destiny/Expression number), each letter is represented by a number value. There are online calculators you can use if you prefer. HERE is one for your Life Path and HERE is another for your name. For the purpose of this reading we will focus only on the opportunities these numbers brings, in order to help you fulfill your potential. Think about the most positive traits of the corresponding Major – this is what you are here to express. Challenges to this expression will be represented by other cards. For the purpose of this reading, we cover numbers 1-9, 11 and 22 and these are also the corresponding cards that will apply (22=The Fool). So go ahead and make the calculations and then find the two Major Arcana cards concerned. For some of you it will be the same card twice and then you can mark the other spot with a crystal in the spread or, if you have more than one deck, you can find the same Major in another Tarot deck. 3. Action Advice: Eight of Ariel (Pentacles) – Study and hone your skills. Manifest with more attention to detail. 4. Support: Ten of Michael (Swords) – The harsher lessons are finally behind you so that you can focus on your mission. 5. Mission (read together with cards 1 and 2): 1 The Magician / Archangel Raziel (Mercury) – Communicate spiritual wisdom and teach people how to create a spiritual reality on earth.